When Ellen Childers of the Madison College Class of 1962 wrote us about her friend and classmate Betty Harrington Griffiths, we recognized, as did Ellen, that her late friend had lived a life of positive change. With information provided by Ellen, our summer intern, Max Hamilton, a student at the University of Virginia, wrote about Betty and her life, which beautifully reflected the university’s mission: “We are a community committed to preparing students to be educated and enlightened citizens who lead productive and meaningful lives.” Betty Griffiths certainly did….. Even in the week prior to her death, environmental activist and James Madison University alumna Betty Harrington Griffiths showed how one individual can be a force for positive change. A member of the graduating class of 1962, Betty passed away on Nov. 18, 2014, from pancreatic cancer. She was 74 years old. 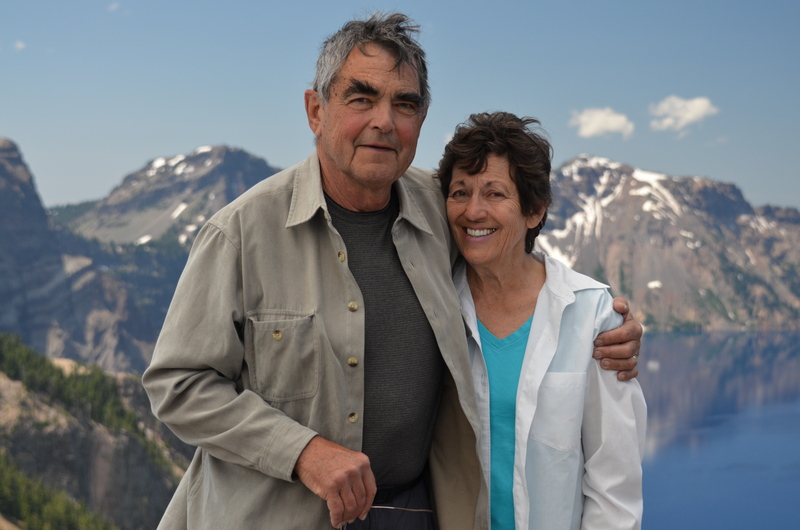 When Betty left Madison College with a bachelor’s degree in psychology and sociology, she moved to California with her husband, Bob, whom she married in 1965. She worked as a secretary at Stanford University while her husband pursued his master’s degree. Three years later, the couple moved to Corvallis, Oregon, home of Oregon State University, where Betty earned her own master’s degree — one in counseling. For more than 25 years, Betty worked in human and mental health services, spending most of her career in that field as Linn County’s director of alcohol and drug treatment. It was the kind of department that few county governments are able to sustain, but Betty’s did — and its the survival, Betty’s colleague, Tony Howell, attributes to her dedication. She also volunteered for several related organizations in Corvallis: Community Outreach, Corvallis Community Day Care, Corvallis Neighborhood Housing Services and other organizations geared toward assisting low-income community members. In 1992, Betty won a seat on the Corvallis City Council. She served continuously until 2006, holding the positions of president and vice president at certain points in her tenure. As a council member, Betty, a passionate outdoors person, championed sustainable development and planning, green spaces and funding for parks while continuing to protect the interests of low-income members of her community. Betty’s legacy of sustainable development activism extended past her years on the city council. She was a co-founder and board member of the Corvallis Sustainability Coalition and a board member and board president of the Greenbelt Land Trust, also based in Corvallis. During her time on the board of the latter organization, Betty oversaw the organization’s expansion into three neighboring counties, national land trust accreditation and acquisition of Bald Hill Farm, a sustainably-operated farm. Betty — already in her 70’s — maintained an active administrative role in both organizations despite her battle with cancer, arriving at meetings, planning and sending out emails up to just a few days before her death. Editor’s note: Information provided by Ellen included articles that appeared in the Corvallis Gazette-Times.